Tell'em you love Cold Steel with our premium quality hat! The sturdy, black cotton/polyester twill makes this hat both handsome and comfortable! 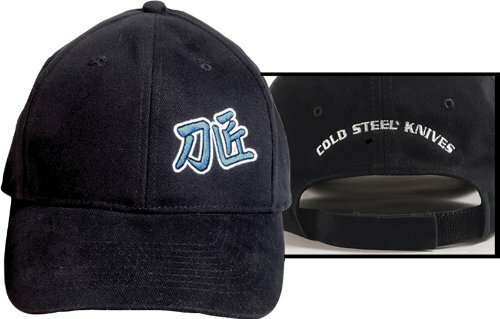 The front features the Kanji characters meaning "Master Bladesmith" and the words "Cold Steel Knives" on the back. It features a "one size fits all" Velcro adjustment band on the back for a good fit. Master Bladesmith Kanji Characters Embroidered on front. One size fits all Construction.